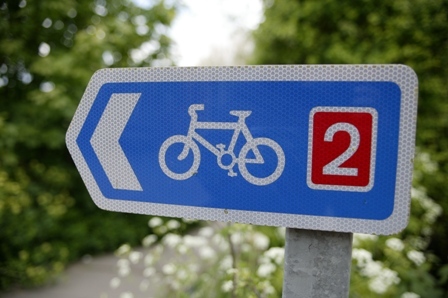 A new initiative designed to encourage more people to actively commute to work will be launched in East Sussex next month. 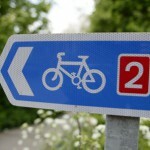 Sustrans, the charity making it easier for people to walk and cycle, is collaborating with local organisations to deliver an interactive workplace challenge, which aims to encourage as many people as possible to commute to work by walking, cycling, using public transport and lift-sharing. Supported by East Sussex County Council with funding from the Department for Transport’s Access Fund, the Active Travel Challenge will run from September 1 to 30 2018, however, people can register now to be in with a chance of winning early bird prizes. The challenge is open to anyone who works for an organisation in East Sussex and participants can either compete on their own or as part of a team. Once registered, challengers then log their journeys to, from and during work to move up the leader board. Janie Burrage, Regional Challenge Coordinator said the initiative was a fun way to think about travel and getting more people to try healthy, active journeys for their travel. She said: “We are really excited about the Challenge. Air quality and congestion are an increasing concern and this is a great way to keep East Sussex moving while doing something positive to help. Challengers also have the opportunity to embark on a virtual journey across the South Downs Way. Starting in Winchester, logging two journeys a day will ensure participants complete the challenge and reach Eastbourne, the end of the trail before the competition finishes. In East Sussex, 55 per cent of people choose to drive a car or van to work. A fifth of these are trips under 2km because a large proportion of the population both live and work in the same area. Forty per cent of journeys in Newhaven, 48 per cent in Eastbourne and 51 per cent in Bexhill and Hastings are under 5km. By reaching out to employees who live within 5km of their place of work and beyond, the Active Travel Challenge could have a significant, positive impact by helping to reduce localised congestion and improve employee health. There are £1,500 worth of prizes and vouchers to be won. Anyone who logs 20 active journeys will automatically be entered into a prize draw to receive a £350 Eurostar voucher. Other prizes include a Kindle, fruit hamper and vouchers for Cotswold Outdoor, Marks & Spencer, John Lewis Partnership, Wiggle and iTunes. Everyone can benefit because there are a number of rewards and discounts offered by local businesses which can be unlocked by logging journeys. This entry was posted in Transport and Environment on August 8, 2018 by timf.